Preposthumous: Oh 2010, you have gotten crazy on me. We have had a nutball year thus far. Hence total silence on this blog. It all started a wee bit before the new year with a total kitchen renovation courtesy of my Mom. 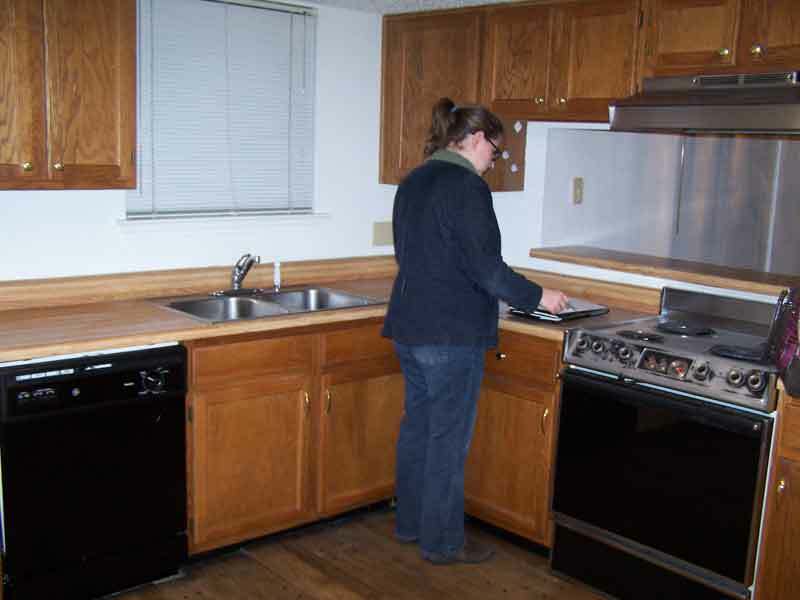 Back in the Fall of '09 when Mom found a 70% discount on a new dishwasher and in quick succession, a stove and set of cabinets (plus sink!) at considerable discounts. Mom asked a friend who is a site superintendent to caravan with her to our house so we could gut the kitchen and rebuild it into it's current glory. This is the previous kitchen. I will take a picture of the results as soon as we finish painting. It might take a while since we are going to be out of town for the next two weekends. 2010, continuing on the non-stop crazy train. The kitchen required about a thousand visits to IKEA (thanks Mom!). There were two sessions of all night driving for Mom and Dennis. The cabinets refused to fit until a stud was exposed and shaved down. Tony learned to drywall and our neighbor Charles offered the use of his table saw to cut our new countertops (thanks again Mom!) to size. It was a pretty big project for just a few people all taking place the day before Christmas. Now that it is all done I don't know how I lived without a fully functional kitchen. Especially nice are the new GFCI outlets that prevent me from electrocuting myself and burning down the house. One more time with feeling: Thanks Mom! you exposed, then shaved a stud? Once a stud is exposed, you might as well shave that bad boy.